He’s just saying he still doesn’t get all the fuss over his 5,000% price hike on the toxoplasmosis drug he bought, and not to be surprised or upset when his Turing Pharmaceuticals reduces Daraprim’s cost to $748 per pill in seven or eight years. After all, he’s got an antitrust battle to fight over it now. "I said that it would take a long amount of time to figure out how and when to lower the price," Shkreli said, in reference to his interview with ABC News when he first announced he&apos;d cut the cost of Daraprim in response to public outcry over the hike…. "Until we figure out demand, we won’t lower the price." he said. "We have to find a safe price to lower it to." And once Turing settles on a lower price, it might not be as low as some are calling for. 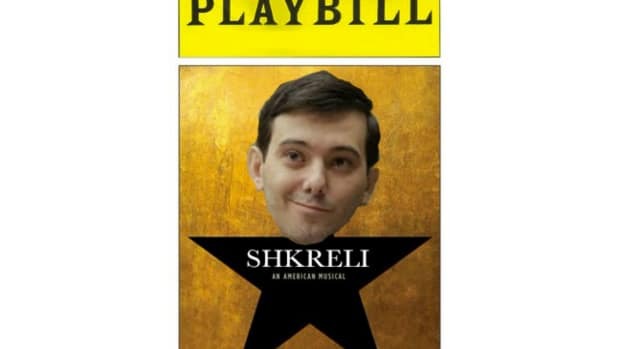 It likely won&apos;t be anywhere near what the original price was before the hike, Shkreli said…. "There have been hundreds of companies that have raised [their drug prices] higher, and they’re not rolling back their prices, so why should we?"